Windows 10 Creators Update will bring more user control over updates. Prior to the Creators Update, Windows 10 didn’t provide ways to tailor the timing to your specific needs. 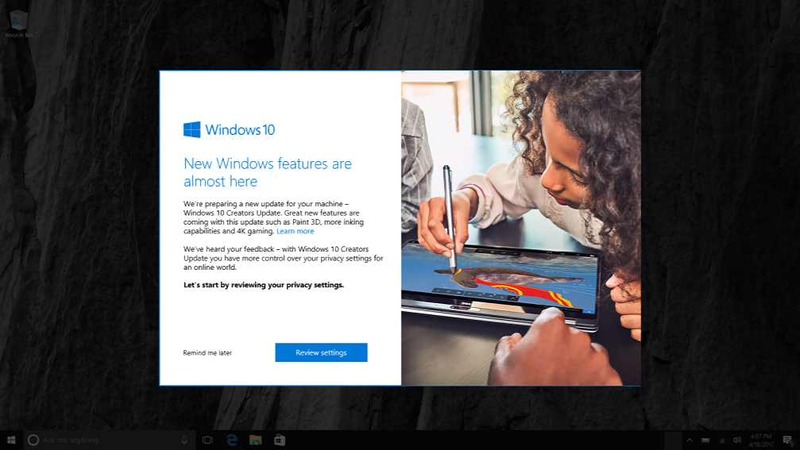 What we heard back most explicitly was that you want more control over when Windows 10 installs updates. Also, users will now able to stop unexpected reboots. With the Windows 10 Creators Update you will have several new options for scheduling the timing of when updates install. For example, you can specify exactly when you want an update to occur including the ability to reschedule an update if your original choice ends up being less convenient than expected, or “hit the snooze button.” The “snooze” capability allows you to pause the update process completely for three days when you need uninterrupted time on your device. In addition, Microsoft has widened the “Active Hours” time so Windows doesn’t install an update at times when you want your device to be ready to use. However, if you decide to exercise more control over the update process, there is a new icon to the Windows Update Settings page with upcoming Windows 10 Creators Update that makes it easier to verify that your device is up to date.